Having a foolproof Instagram strategy is fast becoming an integral part of your brands online presence. Instagram is the second most used platform in Ireland, directly after Facebook, with 56% of Irish accounts browsing Instagram on a daily basis. 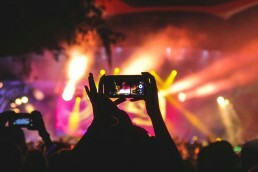 Instagram has transformed a great deal since its inception back in 2010, from a run-of-the-mill social media platform to a major digital marketing channel. Updates to the app in the past few years have added several valuable tools for business accounts to improve their Instagram Strategy. 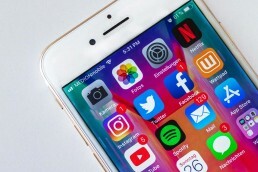 Following suit from the popularity of Snapchat, Instagram rolled out their own take on stories in 2016 and it has since become a much loved feature of the app by business and personal accounts alike. Stories provide a fun and engaging way to build awareness around your brand, drive traffic to your website and create relationships with your followers. Instagram stories can be created by tapping the camera icon on the top left corner of your home page or by tapping the add symbol on your profile picture from your profile. From there on, making your story is a similar process to posting an image on your profile, but with a number of additional features such as the ability to add interactive stickers, animated gifs and links, and don’t worry, you can still use your favourite photo filters on your stories! As is the nature of story based content, Instagram stories only remain live for 24 hours on the stories feed. However, you can pin your favourite stories to the highlights section of your profile, so you followers can view it indefinitely. 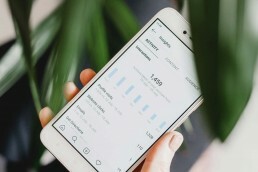 Insights is Instagram’s native analytics feature that allows business accounts to see data on the performance of their account as well as the demographics and behaviour of the people interacting with their profile. 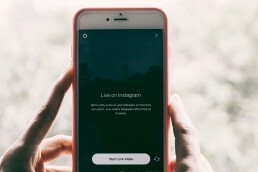 Although at this time Instagram’s in-app analytical capabilities can be quite limited, it is an extremely useful tool for getting an overview into your account’s performance in order to adapt your current Instagram strategy. • To see your profile’s Insights overall for the most recent period, tap the bar chart icon on the upper right corner of your Instagram profile. This provides you with a summary of the content you’ve posted, the number of followers you have gained, your total reach, your total impressions and your number profile views for the past 7 days. From here you can also see a break down of your audience demographic information in terms of age range, gender, top locations and the time at which they are most active. • To look at statistics for individual images including its reach and impressions, tap the “View Insights” link in the bottom left corner of the relevant post. • To view the performance of an active Story and to see the people that have watched it, open the Story and tap the profile pictures in the bottom left corner of the screen. Instagram is fast becoming a key factor to E-Commerce success, with 30% of users purchasing a product after first spotting it on Instagram. From just a quick glance at your recommended posts feed, it’s evident that some of the top performing posts on the platform are product centred images. Product tags are a particularly powerful tool for E-Commerce. They allow verified “Shoppable” accounts to add a shopping bag button to the corner of their images. Followers can tap these posts to reveal pop-ups with details about the products featured in the image. Tapping these pop-ups shows further details on the product with a Shop Now button, which brings your followers directly to the corresponding product page on your E-Commerce website, where they can add the item to their cart and check out. • Your Instagram account must be converted into a business profile. 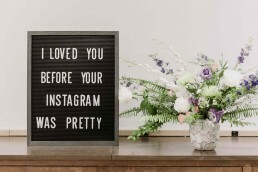 • Your Instagram must be connected to a Facebook page with a Shopping Catalogue, which can be created and managed using Catalog Manager or E-Commerce platforms such as Shopify and BigCommerce. • You must comply with Instagram’s Merchant Agreement and Commerce Policies. Previously, this feature was only available to accounts based in the US but as of this year, Irish accounts can also get in on the action. Now is a great time for Irish businesses to be early adopters of this powerful Instagram tool. 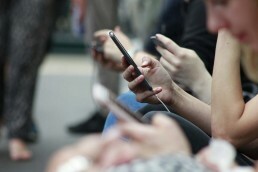 The popularity of the “Stories” format has shifted ideas of how people watch video. With the number of people watching videos on mobile increasing every year, 96% of mobile video consumption is now viewed vertically. Instagram reacted to this by releasing IGTV for longer form vertical video content last year. The length of your IGTV uploads depends on your number of followers, for most people this means 10 minutes but accounts with a large following can have episodes as long as one hour! • Giving in dept answers to queries that have been posed from a Q&A sticker on an Instagram story. With Instagram’s current toolkit of business centred features, now is the perfect time to get your brand’s Instagram strategy in shape. If you’re looking for any further advice on improving your social media channels, our Digital Marketing Manger Jonathan is here to help. Márla Communications are recognised as a top Email & Marketing Automation Company on DesignRush.